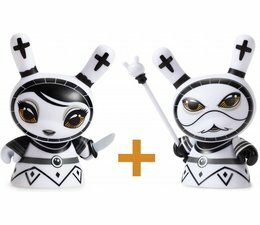 Otto Björnik’s Dunny Chess Series is the first collection of it’s kind! This series is a full and playable chess set. 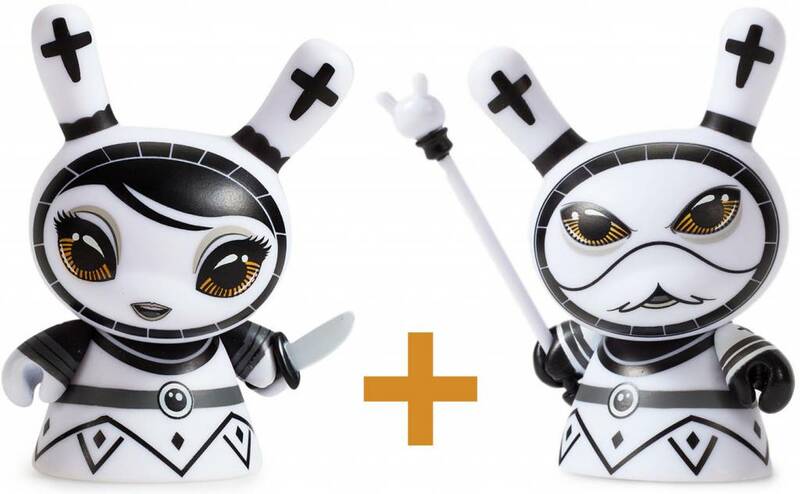 The Dunny figures in this series are designed to be a king, queen, rook, bishop, knight or pawn. Each Dunny, or chess piece, comes on a square that makes up the board. Each 3" Shah Mat Dunny (2-Pack) by Otto Björnik includes 2 Dunnys and 4 Tiles of the chessboard. We have carefully opened each blindbox (and sometimes the card) to reveal the character living inside. You will receive the item displayed in the 1st picture on the slideshow.